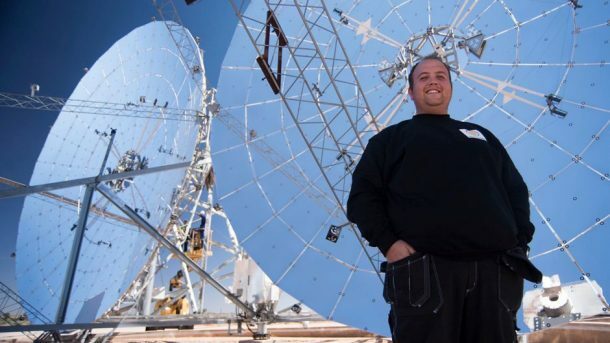 Using the intense South African sun and local manufacturing knowledge, a Swedish company called Ripasso is at the verge of building world’s most efficient solar system. South Africa’s Kalahari desert, located in the remote Northern Cape province now boasts of hosting huge mirrors that reflect the sun across the brown Kalahari sand. While traditional photovoltaic panels are able to give maximum of 23% of the solar efficiency, which translates into an average output of 15% to be used by the grid; Ripasso’s system claims to be able to convert 34% of the sun’s energy hitting the mirrors, which is ready to be transferred to the grid. And that’s the reason they are looking to become one of major players in the solar energy market very soon. The clicking and tapping of these 100 square meter dishes resonate in the desert, as they are designed to follow the sun wherever it goes. 75 to 85 megawatt of electricity, this is the amount of energy that would be extracted by burning 81 metric tonnes of CO2 into the atmosphere. Yet Ripasso dish is able to produce this and thus is able to power 24 typical UK homes just by using their large size and state of the art technology, as confirmed by IT Power in an independent test. 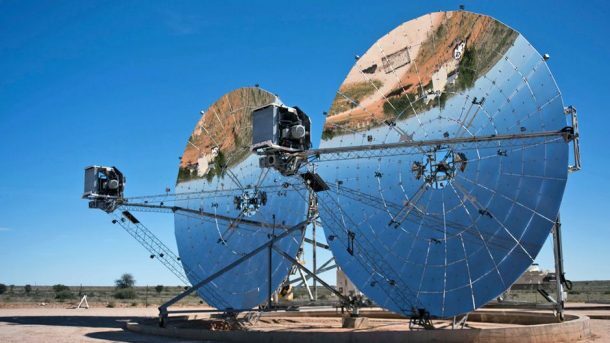 The technology operates by using the mirrors as giant lenses that consequently are able to focus the sun’s energy to a tiny hot point. This phenomenon is employed to drive a zero-emission Stirling engine, reducing losses and increasing efficiency. Ripasso is using an advanced version of the Stirling engine, and the people working in the Swedish company know exactly what a clean and efficient generator could mean for renewable energy systems. The dedicated men and women working at Ripasso want to take this technology from the South African desert to the canvas of the world, and they sure are working hard to achieve this feat. They take this project like they are saving the world, and despite the financial and monetary hurdles, the employees have remained true to their ultimate goal. Due to the novelty of the design, banks were reluctant in financing the project. But Ripasso has now successfully secured private funding and is about to enter the commercial phase after starting their first large-scale installation. Have any other information to add to this article? Comment below!